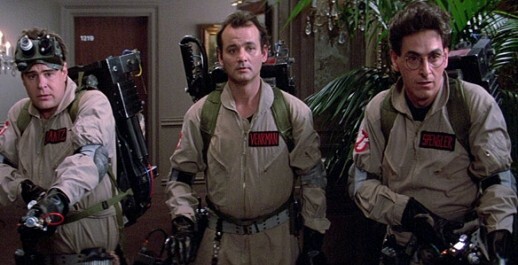 Gen-Xers who grew up wearing proton packs, take heed. Sony Pictures is beginning development of a male-cast Ghostbusters movie to follow the female-cast version that will shoot this summer, and the company will make an effort to get the franchise back on television and increase its merchandising efforts. Channing Tatum will co-produce the film and plans to act in it as well. All three shows that premiered on the Sunday before last dropped in the ratings in their second week, though ABC’s Secrets and Lies fell by only 7 percent, which is a very respectable retention. FOX’s disaster-comedy The Last Man on Earth drew 25 percent fewer adults 18-49, and CBS policier Battle Creek dropped 20 percent from its weak March 1 premiere. The Hallmark Channel is resuming the “Jesse Stone” occasional series of mystery movies, taking over from CBS. The films all star Tom Selleck as the main character, the late crime fiction master Robert B. Parker’s depressive detective exiled in coastal Massachusetts after messing up a case and his life. The narratives and settings are rather dreary, but somehow the films are always watchable and generate very good ratings. Jesse Stone: Lost in Paradise, the ninth film in the series, is currently in pre-production.